“More Was Never Enough” was something I wrote in one of the most challenging times in my life. From great suffering, came something that inspired and motivated millions of people around the world. We must face the shadow inside, turn away from our darkest traits, change our hearts, show more loving kindness and ultimately find OUR true purpose in life. We all make mistakes, personally and professionally, but if we ever expect others to forgive our mistakes, we must be able to forgive others. It’s one of the greatest expressions of true love. We can fix damaged relationships and become a better person, with God, anything is possible. This song and writing has toured the world and touched the lives of millions of people. Here are some of the best videos some of the inspired fans made themselves. ENJOY! Many of my clients have common “prepper fear” solely because they are unprepared for 3-Day temporary power outages let alone 12-Day outages, like we were challenged with in 2011. You can calm your fears and easily prepare for short-term power outages. My grandmother’s health declined rapidly in the 60 degree interior of the home and we were forced to take her to a nursing home, which all ran on generators. Sadly, our grandmother died just a few months later after a challenging recovery. In our home across the street, we boiled water to keep it above 63 degrees. This is not a long term power solution, due to gas restrictions, but could help you stay warm and safe in your home during downed power lines or trees during storms as well. The term prepper just means prepared, there’s nothing “crazy” about being prepared to face another freak storm like we did in October 2011 that nearly killed my grandmother. Please, I don’t even want you to think of the situation she faced, due to Medicaid, being forced to “wait it out” at her home, as per her doctor’s orders, in a home we couldn’t keep warm enough. Please, don’t watch your family freeze to death and know you did everything possible to protect them and your loved ones in case of emergency. 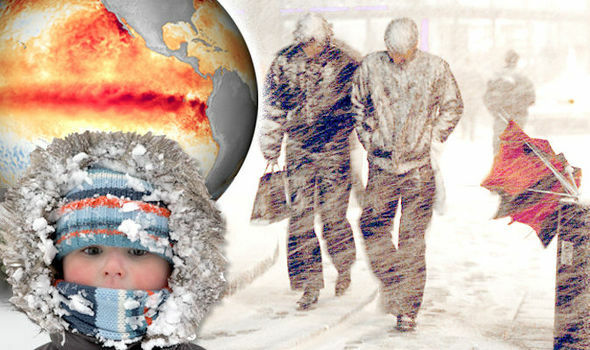 LOS ANGELES – Climatologists are predicting that this winter will be unusual across the country because of El Niño that is brewing in the Pacific Ocean. Scientists say El Niño is getting stronger because of rising sea-level ocean temperatures in the Pacific Ocean and a change of directions of the wind along the equator. According to LA Times, that means that winter storms that normally drop rain in central America could shift north and move them over California and the southern United States. Mike Halpert, the deputy director of the Climate Prediction Center, said this El Niño is the second strongest he’s seen at this time of the year. “This could be one of the types of winters like in 1997-98,” Halpert said. Nicholas Recanati was born in Hackensack NJ and grew up in Windermere Florida. Nicholas began training and competing in Gracie Jiu Jitsu at the age of 6 under UFC Legend Royce Gracie. Nicholas went through all the traditional rankings for kids BJJ ranks and then was promoted by Royce Gracie to blue belt 2012. Nicholas has since trained with many UFC, WEC and world Champion BJJ practitioners like Geroge St-Pierre, Chuck Lidell, BJ Penn, Anthony “Showtime” Pettis, Matt Serria, Ben Saunders, Phil Davis, Bas Rutten, Rodrigo Gracie, Rafael Lovato Jr and Matt Arroyo. Nicholas held the rank of Purple Belt under Multi World Champion and ADCC Absolute Champion World Renowned BJJ Roberto “Cyborg” Abreu. Nicholas had an astounding Jiu Jitsu competition record of 137 wins and only 21 loses, with most notable wins being, 2 x UFC Fan Expo Teen Champion, 3 x IBJJF Florida State Champion, 11 x Grapplers Quest National Champion, 1 x National Naga Champion, 2 x Naga world Champion, 13 x Disney Martial Arts Grappling Champion. In addition to being an avid Jiu Jitsu competitor Reca was an amateur boxing back round with a 5 – 1 record. 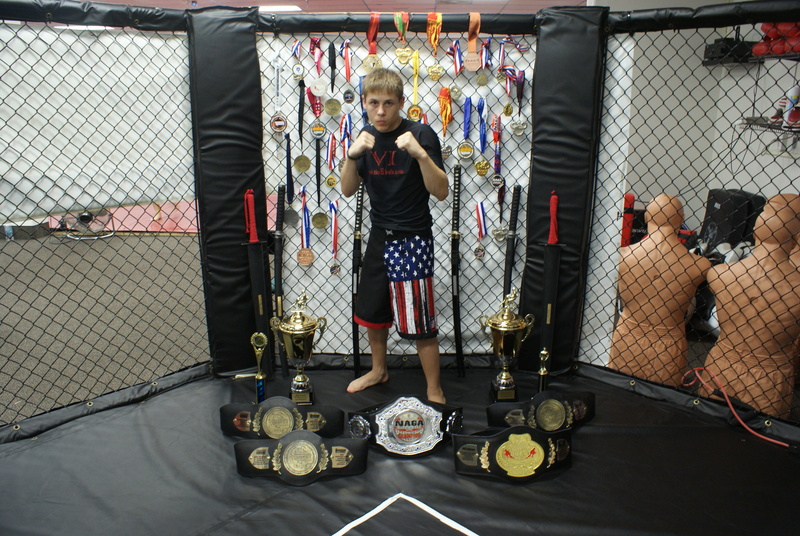 Nicholas took 2nd in the state of Florida Platinum Glove as an amateur boxer. Nicholas was the Co-Owner and Head instructor for the Little Ninja and Warriors program at Xtreme Gracie/Fight Sports Jiu Jitsu and was an avid Jiu Jitsu competitor. He was a legend at Grapplers Quest and someone I called a friend and my little brother. God Bless and heal you all…Nicholas is now an angel to protect us for Earth’s final battle.